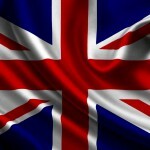 Home » Odds & Sods » Happy British Pie Week! Whether you celebrate quietly at home with just a few friends or go all out and invite the neighborhood over, it’s British Pie Week in the UK, March 1-7. 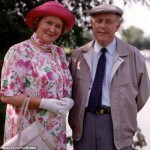 Stay with me here, there is a hook to British TV in a bit. I know there are a remote few of you out there that didn’t realize there even was a British Pie Week, well, that’s why we’re here. I did say this was going to be “all-things British”, after all. 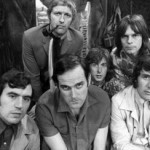 What better way to celebrate British comedy this weekend (and there are some great new programs on this weekend in the North Texas area and across public television stations nationwide) than with a classic “British Pie”. Whether it’s the traditional Shephard’s Pie, Cottage Pie or Steak & Ale Pie, nothing screams “UK”, like sitting down to a good pie (with your Man U, Chelsea, Arsenal or Liverpool scarf around your neck, of course), British comedy, and good friends. For those needing a little help, I can personally vouch for this Gordon Ramsay Shepherd’s Pie recipe or this Steak & Guinness Pie recipe. If you need a visual, here it is. Full disclosure, it took me a little longer than 1:46 to make but, then again, I’m not Gordon Ramsay. 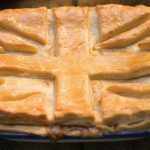 If you have a favorite British Pie recipe, please share. FYI, it was on purpose that I didn’t either mention or show a picture of the Salmon, Prawn and Tomato Pie. That’s just not right. Beginning Saturday, March 6, many public television stations across the country (with KERA leading the way) will air the new season of Red Dwarf: Back to Earth and More Funny Ladies of British Comedy, hosted by Penelope Keith. For those in the North Texas region, KERA will air RD: Back to Earth on Saturday, March 6 at 8:30pm followed by More Funny Ladies at 10:30pm. These are two programs not to be missed. Time for the short, shameless plug. Neither of these programs would be possible on KERA or public television nationwide without the financial support of Britcom viewers and members. Hope you like them both and are able to support both to ensure we can continue to grow the British comedy line-up. 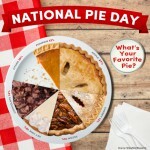 Celebrating National Pie Day in the U.S. and making plans for British Pie Week 2013! Looking forward to the 6th! Also craving Shepherd’s Pie at 9 in the morning. Thanks a lot Bill!